Exciting news from the Amazon Appstore! 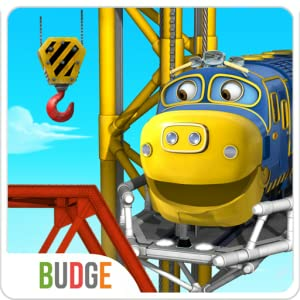 For a limited time, Chuggington Ready to Build - Train Play is available exclusively for Android in the Amazon Appstore. Perfect for preschoolers, this free, easy-toâ€“play game will allow your little conductor to build their own Chuggington world, use traintastic tools to fix tracks, repair bridges, drill tunnels, and even tap their chugger to honk the horn. Chuggington Ready to build â€“ Train Play comes from Budge Studiosâ„¢, known for other popular titles including Strawberry Shortcake, Dora the Explorer, SpongeBob SquarePants, Minnie Mouse and more, and are a leading provider of entertaining apps for kids across smartphones and tablets.